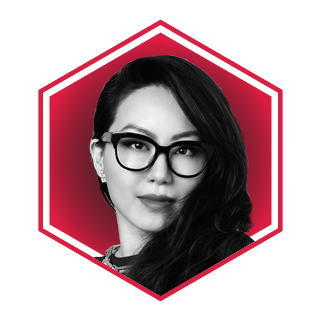 Ruth launched creative agency Indicube with business partner Antonia Li in 2014, providing an injection of fresh energy and vision in the Hong Kong branding scene. After only three years, Indicube was acquired by the multinational agency PBB Creative. Now, Ruth serves as a partner and creative director for the group, continuing to help produce some of Hong Kong’s coolest brands. With a firm belief in fine craftsmanship, Ruth tailors her designs to individual brands, creating custom oil paintings, melded copper, flower scans, ink drawings and even musical tunes for a unique experience. Prior to Indicube, Ruth honed her creative skills by working closely with Academy Award-nominated art director William Chang Suk-ping and designing for lifestyle brands such as Isabel Marant, Victoria Beckham and Lionsgate to name a few. Ruth has won 15 international design awards in her career so far, and is one of the youngest creative directors to win at Berlin’s prestigious Red Dot Awards. She also founded her own design agency, Ruth Chao Studio, in 2018.